A SpaceX Dragon cargo ship loaded with 3,800 pounds of science samples, no-longer-needed equipment and trash was released from the International Space Station early Sunday for a fiery return to Earth, splashing safely into the Pacific Ocean to wrap up a month-long stay in space. The Dragon capsule, the only space station cargo ship capable of bringing research samples and other material back to Earth, descended under three large parachutes to a gentle splashdown about 230 miles southwest of Long Beach, Calif., at 10:46 a.m. ET. Space Systems Loral (SSL) announced that NASA’s Johnson Space Center (JSC) recognized MDA US Systems, a division of MDA managed by SSL, for its support of a robotic upgrade to the International Space Station’s (ISS) power system which took place in January. According to NASA, the MDA team based in Houston played a critical role in planning and validating the robotic maneuvering both before and during the mission. NASA JSC ground controllers used the 15-degrees-of-freedom Special Purpose Dextrous Manipulator (Dextre) arm to install six new 430-pound lithium-ion batteries in two power channel integrated electronics assembly pallets. Dextre first removed 12 older and depleted 740-pound nickel-hydrogen batteries from the pallets, nine of which were put on the Japanese H-2 transfer vehicle’s external pallet to burn up on re-entry with it. Intelsat and Marlink announced that their partnership to deliver High-Throughput Satellite (HTS) services to cruise and passenger vessels using Intelsat EpicNG has contributed to an increase in bandwidth delivered on Marlink’s Sealink Very Small Aperture Terminal (VSAT) service of more than 220 percent during 2016. This growth in bandwidth enabling broadband connectivity for Marlink cruise and passenger segment customers is more than three times larger than what Marlink was delivering at the beginning of 2016. The global services capability that Marlink offers on its Sealink VSAT service portfolio has driven this growth, enabled using the Intelsat Globalized Network, including the Intelsat Epic platform and strategically located teleports around the world, the company said. The United Launch Alliance successfully launched the Air Force’s Wideband Global Satcom 9 satellite Saturday evening aboard a Delta 4 rocket. The Delta 4 Medium-Plus (5,4) lifted off from Cape Canaveral’s Space Launch Complex 37 at 8:18 p.m. Eastern, about halfway into its 75-minute launch window. The window opened at 7:44 p.m., but an issue with the swing-arm system on the gantry extended a planned hold in the countdown. A fiscal year 2018 budget proposal released by the Trump administration March 16 would cancel NASA’s Asteroid Redirect Mission (ARM) and several Earth science programs, but spares NASA the deeper cuts proposed for many other agencies. The budget blueprint document, an outline of the administration’s budget request but with only limited details, requests $19.1 billion for NASA, a cut of about one percent from the $19.285 billion the agency received in fiscal year 2016. NASA, like other government agencies, is currently operating under a continuing resolution that funds programs at 2016 levels. Kymeta will finally start shipping its first flat-panel antennas this spring, some five years after Microsoft co-founder Bill Gates first opened his wallet to help the startup bring thin, lightweight, low-power antennas to a satellite market hungry for mobility solutions. The Redmond, Washington-based startup has raised $144 million since spinning off from Intellectual Ventures in 2012. Among customers awaiting Kymeta’s May release of its flat, beam-steering antenna system are Panasonic, Toyota, and armored car company Aurum Security. A SpaceX Falcon 9 launched the EchoStar 23 satellite early March 16 on the rare mission that did not attempt a recovery of the rocket’s first stage. The Falcon 9 lifted off from Launch Complex 39A at Kennedy Space Center in Florida at 2:00 a.m. Eastern. The launch was delayed by about 25 minutes because of upper level wind conditions. Poor weather scrubbed the previous launch attempt March 14. The rocket’s payload, EchoStar 23, separated from the Falcon 9 upper stage 34 minutes after liftoff, after being inserted into a geostationary transfer orbit. The satellite, built by Space Systems Loral, will ultimately operate at 45 degrees west in geostationary orbit. Spanish high-altitude balloon specialist Zero 2 Infinity completed its first test flight of Bloostar, a balloon-assisted small-satellite launcher four years in development. During the test, conducted March 1 from a vessel a few kilometers off Spain’s coast, a stratospheric balloon lifted the Bloostar vehicle to a 25-kilometer altitude before its vacuum-optimized engine ignited. The Barcelona-based company announced March 13 that the test proved Zero 2 Infinity’s ability to perform a controlled ignition in space, stabilize the rocket and monitor the launch sequence. The test also allowed Zero 2 Infinity to demonstrate Bloostar’s telemetry systems in space and recover the vehicle at sea following parachute deployment. On February 14, 2017, an Indian Space Research Organization rocket launched from the Satish Dhawan Space Centre carrying a record-breaking 104 satellites into orbit. These satellites have now joined more than 22,000 additional objects in space that are tracked by the Joint Space Operations Center (JSpOC), where they are cataloged and screened for possible collisions with other space objects. The JSpOC has provided this data at no-cost to U.S. satellite owner-operators as well as international commercial and government entities for nearly 20 years. Sharing this data has been essential in preventing satellite collisions in space by allowing owner-operators to perform further conjunction analysis for close approaches and execute risk mitigation maneuvers, if necessary. SpaceX has been working with NASA to identify potential landing sites on Mars for both its Red Dragon spacecraft and future human missions. In a presentation at a symposium here March 18 on planetary surface exploration and sample return, Paul Wooster of SpaceX said the company, working with scientists at NASA’s Jet Propulsion Laboratory and elsewhere, had identified several potential landing sites, including one that looks particularly promising. Wooster, who is involved in Mars mission planning in addition to his “day job” as manager of guidance, navigation and control systems on SpaceX’s Dragon spacecraft, said that site selection is based on several criteria. One is access to large quantities of ice near the surface that could, ultimately, support human settlements. Globalstar and Inmarsat announced today their intention to form a new partnership to cross-sell their respective products and services. According to the companies, the future partnership aims to provide additional service options for the growing and diverse needs of the companies’ international customer bases. Elon Musk’s Space Exploration Technologies Corp. plans to launch a reused rocket for the first time in the coming weeks, a key step in bringing down space-travel costs for customers and future missions. SpaceX will take to the skies with a reusable rocket before the end of this month, Gwynne Shotwell, the company’s president and chief operating officer, said on a panel at Satellite 2017, an industry conference in Washington. Hughes Network Systems has announced HughesNet Gen5, which according to the company is the first and only U.S. satellite internet service to offer Federal Communications Commission(FCC) defined broadband speeds — 25 Mbps download and 3 Mbps uploads — from coast-to-coast. The company also announced that it will expand its network offerings for large businesses and government by adding a High-Throughput Satellite (HTS) offering to the HughesON line of managed services. The Long March 7 Y2 rocket that will launch China's first cargo spacecraft next month has arrived at Wenchang on Hainan Island ahead of the crucial mission for the country's space station plans. The second Long March 7 will launch Tianzhou-1 to low Earth orbit where it will dock with the Tiangong-2 space lab and test docking and liquid propellent transfer in microgravity. NASA has selected 133 proposals from U.S. companies to conduct research and develop technologies that will enable NASA’s future missions into deep space and benefit the U.S. economy. The proposals, valued at approximately $100 million total for contract negotiations, were selected under Phase 2 of NASA’s Small Business Innovation Research (SBIR) program. SBIR Phase 2 projects will expand on the results of recently completed Phase 1 projects. Phase 1 projects received six-month contracts of as much as $125,000. NASA awards Phase 2 contracts up to $750,000 with a period of performance of no more than two years. Successful Phase 2 projects may go on to Phase 3 of the program: commercialization of the innovation. Sentinel-2B carries a large camera to image all land surfaces and coastal waters in visible and infrared light. It joins an identical spacecraft, Sentinel-2A, already in orbit. 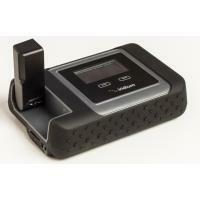 Carnegie Technologies announced the launch of SatBridge, an enterprise-grade satellite hotspot that turns any smartphone into a satellite phone for reliable connectivity in remote locations or emergency situations. 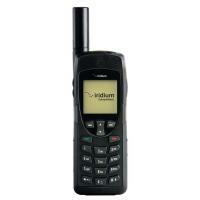 SatBridge boasts a satellite phone antenna with 8 times the signal strength and performance of other handheld satellite phones, measuring about the size of a paperback book and weighing about three pounds. Industry uses for the hotspot include oil and gas exploration, remote mining, construction, exploration, architectural research, and more. Despite uncertainty about potential policy changes, NASA is pressing ahead with plans for a cislunar “gateway” outpost for future human missions, with decisions about how to develop it expected in the coming months. 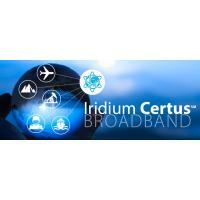 Iridium Communications Inc. reports that its Safety Voice service, which is used for air traffic communications, has been adopted by more than 500 aircraft as of February 2017. The Iridium Safety Voice service provides aircraft operators with an alternative to existing HF radio systems, replacing them with a secure satellite-based option for long-range communications. In August of 2015, the Federal Aviation Administration (FAA) distributed an 'Information for Operators' (InFO) notice, alerting aircraft operators of the modifications required to comply with Policy Letter-106 which outlines how aircraft may operate with one HF radio and one satellite communications (SATCOM) platform over the West Atlantic Routing System (WATRS). The Iridium Safety Voice service features a dialing system requiring multiple user authentication steps for in-flight communications in addition to a call priority system, ensuring urgent communications are not interrupted. Planning a mission to Mars and have some extra payload space? NASA would like to hear from you. The agency issued a request for information (RFI) Feb. 27 seeking information on private ventures planning to send spacecraft to Mars in 2020 and beyond that would be willing to accommodate NASA instruments and other payloads on their missions. Responses are due March 28. Inmarsat has integrated EM Solutions-designed Cobra-class satellite communications terminals onto eight vessels of Australia’s department of immigration and border force in an effort to help boost the country’s communications capacity in inhospitable maritime environments. Inmarsat said Monday the satcom terminals will offer an option for users to augment capacities on government-owned satellites with commercial satellites such as the Global Xpress. EM Solutions produced the terminals to support the Australian DIBP’s communications, surveillance and data transmission missions. Delays in SpaceX’s launch schedule have led an aggregator of secondary payloads to find alternative rides for dozens of satellites it planned to fly on a Falcon 9. In a March 2 message, Curt Blake, president of Seattle-based Spaceflight, said that “significant” delays in the planned launch of the Formosat-5 mission on a Falcon 9 from Vandenberg Air Force Base in California forced the company to find alternative rides for nearly 90 satellites that were to launch as secondary payloads on a payload adapter called Sherpa. NASA is soliciting concepts for payloads that could fly on a mysterious satellite it is in discussions to inherit from another government agency. NASA issued a request for information (RFI) Feb. 15 for a proposed spacecraft called the NASA Science/Technology Platform Satellite, or NSTP-Sat. The RFI was the first time NASA had publicly discussed such a mission. After recently revealing a new BE-4 rocket engine and hinting at his goals for future space travel, Jeff Bezos, founder of Blue Origin and founder, chairman and CEO of Amazon, opened day 2 of SATELLITE 2017 with a riveting keynote moderated by Chairman Jeffrey Hill. Bezos began the keynote by explaining how, and why, he progressed from running arguably the most successful retail business in the world, Amazon, to disrupting the launch and satellite industry with Blue Origin. “You don’t choose your passions, our passions choose you,” he said. “I fell in love with space and rockets when I was a 5-year-old boy watching Neil Armstrong step on the surface of the moon. I’ve been passionate about it ever since.” Bezos described the success of Amazon as a “lottery winning” — and says that he’s now investing those winnings into Blue Origin. Space Systems Loral (SSL) announced that it provided a two-axis gimbal mechanism for NASA’s Raven flight demonstration, which the 10th SpaceX cargo resupply mission delivered to the International Space Station (ISS) on February 19. Developed by NASA’s Satellite Servicing Projects Division, Raven will help the agency test key elements of a real-time spacecraft relative navigation system that will help enable spacecraft servicing and rendezvous missions. Raven will use the two-axis gimbal mechanism to point its rendezvous and proximity operations sensors at visiting vehicles as they make their approach to dock with the ISS. The gimbal is based on SSL’s heritage dual access positioning mechanism, which is used to deploy and position reflectors, antennas, and electric thrusters on the SSL 1300 platform. Once integrated with the ISS, SSL will test the Raven payload over a two-year period. Gilat Satellite Networks and Hughes Network Systems announced a new high-performance dual Ka-/Ku-band aero antenna agnostic to the underlying Very Small Aperture Terminal (VSAT) modem technology and service platform. The companies have been working together for nearly two years on the development of the antenna. The new antenna from Gilat and Hughes supports both Ka- and Ku-band on a single antenna platform while affording favorable weight and drag characteristics versus the use of two separate antennas. The dual band capability enables continuous broadband connectivity for commercial aircraft traveling air routes that require a combination of Ka and Ku coverage to serve the full air route. The antenna further meets the volume requirements for radome line-fit installations on both Airbus and Boeing aircraft, while optimizing its aperture size under the available volume. Space startup companies seeking to raise money may face problems in the years ahead, particularly in satellite and launch markets where there are already a large number of ventures, investors and analysts warned. In an investment panel during the Satellite 2017 conference here March 7, Chris Quilty, president of Quilty Analytics, warned that parts of the space industry may be in a “bubble” that will burst as too many companies seek additional rounds of funding.